Under its provincial style, Bratislava, the fabulous Slovak capital, conceals a very rich cultural life. Located on the edge of the Danube, on the hills of the small Carpathians, the heart of the city of Bratislava has Mediterranean accents. Small paved pedestrian streets, character houses, churches and theatres follow each other in a provincial city atmosphere. 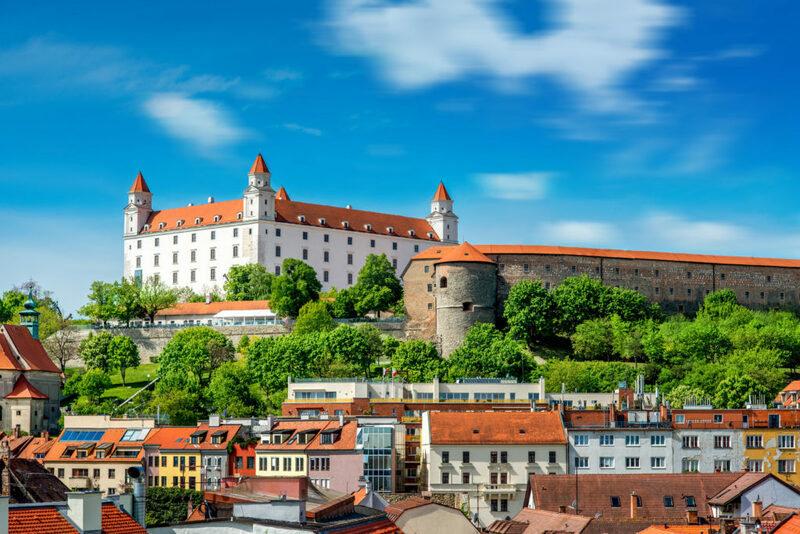 Dominated by an elegant castle, Bratislava offers visitors an excellent starting point to discover the culture of Central Europe: Vienna is only 60 km away.